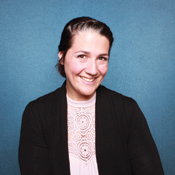 Katie Bardaro, Vice President of Data Analytics, joined PayScale in 2008. Katie leads teams responsible for building, validating and structuring PayScale’s proprietary data set, developing new and unique data products, and any and all data analysis. She also serves as PayScale's Chief Economist and has unique insights into how compensation impacts key factors such as employee engagement, wage trends and turnover. She has provided analysis on compensation data and findings for print, online and broadcast media including The Wall Street Journal, The New York Times, Bloomberg Businessweek, The Economist, CNBC, CNNMoney, USA Today, Forbes and Business Insider, among others. Katie holds a bachelor's in economics from the College of the Holy Cross and a master's in economics from University of Washington, with a focus in labor economics and econometrics.